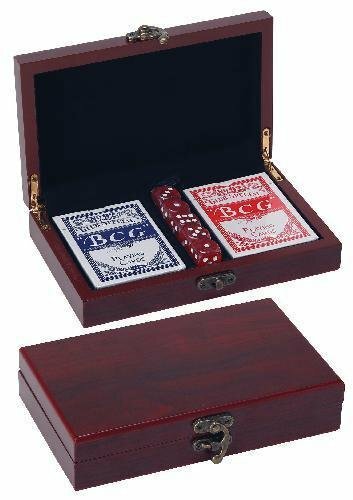 This Rosewood Card and Dice Set makes a great personalized gift. In addition to the elegant Satin Rosewood finish, these boxes are appointed with gold tone hinges, black velvet interior, and secure latch system. The foam cut-out area securely holds the included 2 decks of cards and 5 dice. With an overall dimensions of 1-3/4" X 7-7/8" X 4-3/8" this box can be personalized to fit any of your recognition needs. 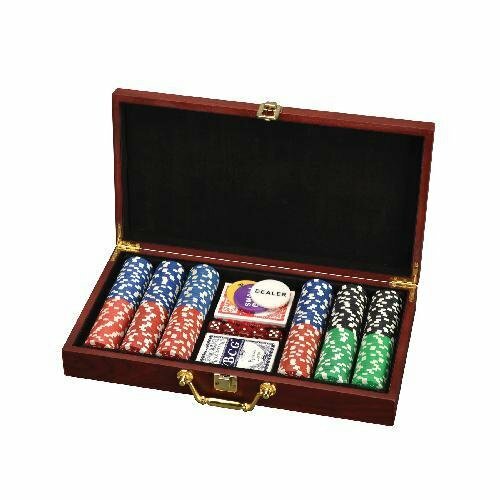 This gift set includes 2 decks of cards, 5 dice and 300 commercial grade poker chips. The elegant rosewood finished box is lined in black molded foam to keep the items in place. Its embellished with gold hinges and clasp and carry handle, and can be personalized to make a great gift, incentive or promotional item. 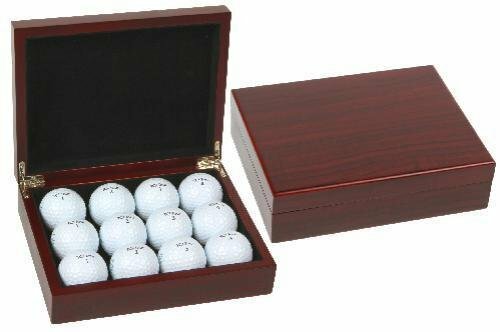 This Rosewood Golf Box makes a great personalized gift. In addition to the elegant Satin Rosewood finish, these boxes are appointed with gold tone hinges and a black velvet interior. Each box will beautifully display 1 Dozen golf balls (Not Included). This box can be personalized to fit any of your recognition needs. 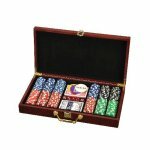 This Rosewood Poker Set makes a great personalized gift. In addition to the elegant Satin Rosewood finish, these boxes are appointed with gold tone hinges, with matching handle and closure clasp. The foam cut-out area securely holds the included 2 decks of cards, 300 quality poker chips, 5 dice, Dealer Chip, and Small / Large Blind Chips. With an overall dimensions of 15 1/4" X 7 1/2" X 2" this box can be personalized to fit any of your recognition needs. 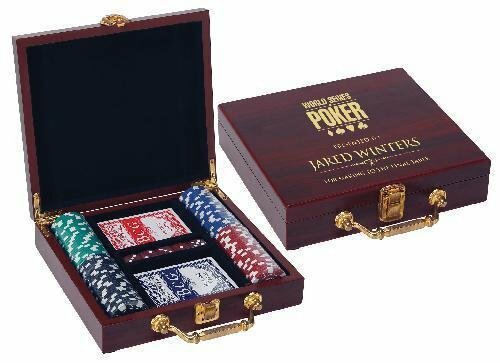 This Rosewood Poker Set makes a great personalized gift. In addition to the elegant Satin Rosewood finish, these boxes are appointed with gold tone hinges, with matching handle and closure clasp. The foam cut-out area securely holds the included 2 decks of cards, 100 quality poker chips, and 5 dice. With an overall dimensions of 2-1/8" X 8-1/8" X 7-1/2" this box can be personalized to fit any of your recognition needs.